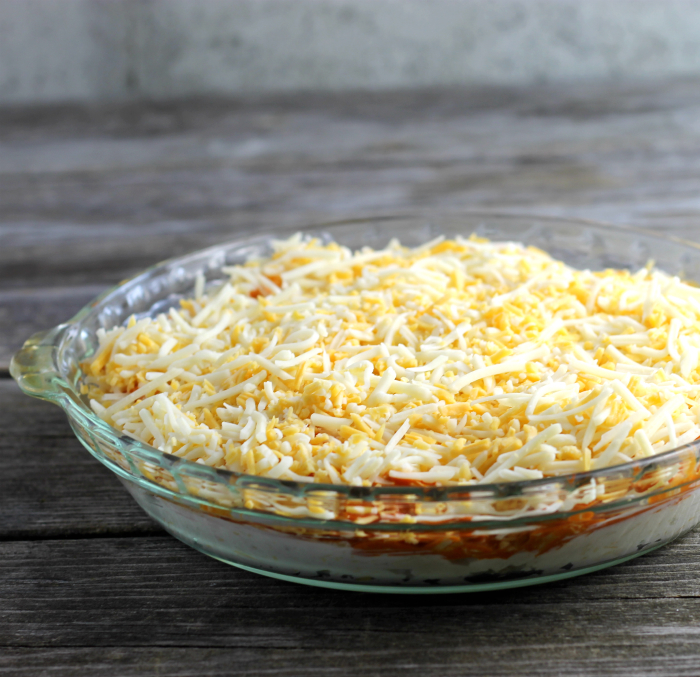 This layered buffalo chicken dip comes with a layer of cream cheese, ranch dressing, cheese, and onion, then on top of the cheese layer that is where you will find the chicken and the buffalo chicken wing sauce, and last but not least you will find more cheese. 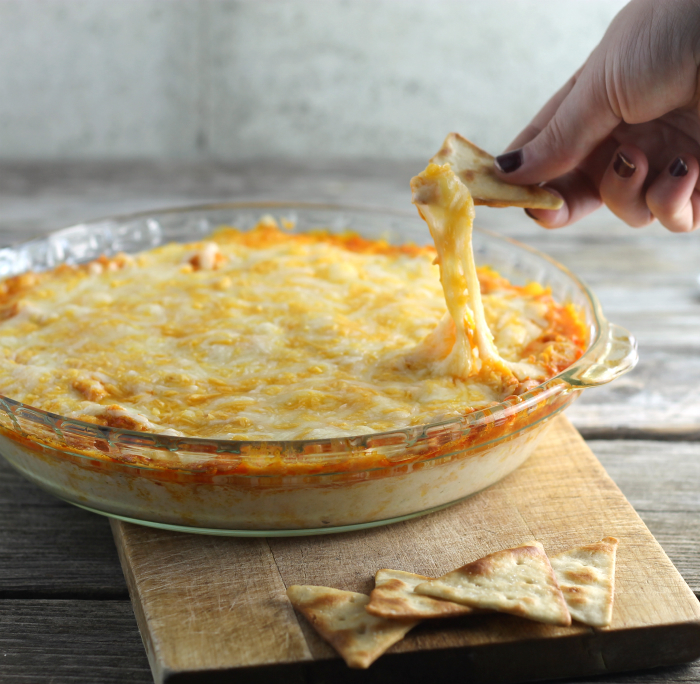 This gooey layered buffalo chicken dip is loaded with a ton of flavor. I love munching on crackers and dips. These days I don’t make too many dips, though. With our kids grown up and out of the house, Mike and I don’t usually eat a lot of the things that we did when everyone lived at home. But on certain occasions, a dip with crackers or chips is a fun thing to eat. As this weekend we were celebrating our son’s birthday and all the kids were hanging out. When our kids gather at our house you know that they will be playing some kind of game. They love their games… usually card games or board games. You will find them gathered around the table having a good old time. A game with a little snacking is a good combination. The dip is easy to make and loaded with flavor. 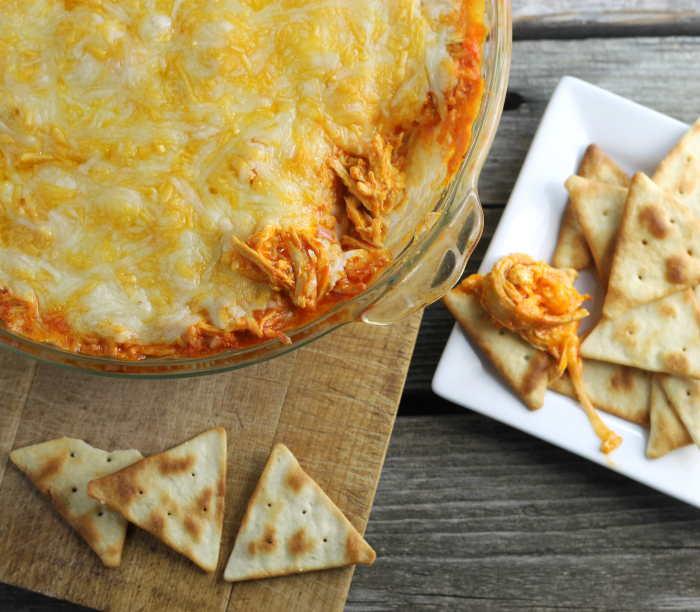 I used bottled buffalo chicken wing sauce to make this dip even easier. I combined cream cheese, Monterey and cheddar cheese and ranch dressing, along with some finely chopped onion for the first layer. The second layer was the buffalo sauce and shredded cooked chicken. Then comes the third and final layer, more Monterey and cheddar cheese. Pop it in the oven until it is heated through and the cheese is melted and bubbly. Serve with crackers, chips, or veggies. I am sure it will be a hit. Having a party at your house to watch your favorite football team? 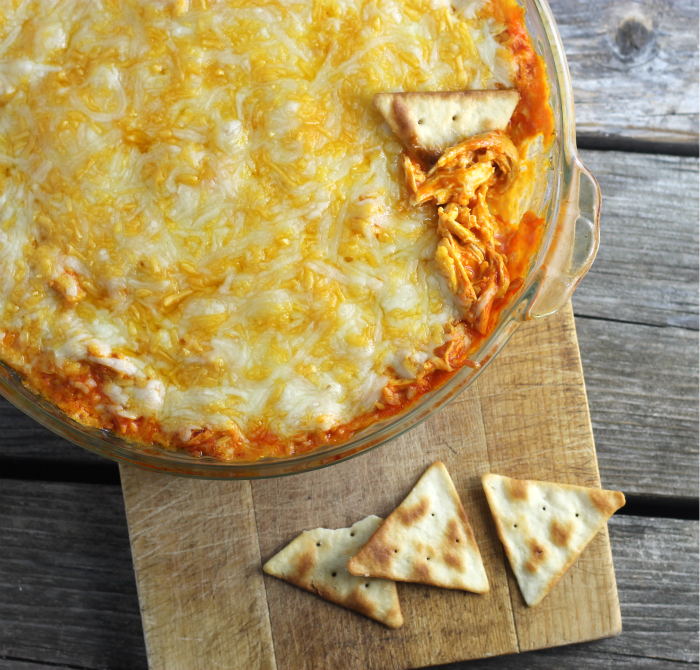 This layered buffalo chicken dip would be the perfect dip. With an electric mixer, beat the cream cheese and the ranch dressing until well mixed. Add the onion and cheeses and fold in until well combined. In a small bowl combine the chicken and the buffalo wing sauce until well combined. Spread this over the first layer. In another bowl combine the Monterey and cheddar cheese. Spread over the chicken layer. Place this into the preheated oven and bake for 15 to 20 minutes or until the cheese is melted and the ingredients are bubbling. Serve with crackers, chips, veggies, or whatever you like. It certainly looks very inviting with all the melting cheese! Oh Dawn, this dip looks so tasty…all the layers just come together so well…I would love to dip a spoon into it. This looks so ooey gooey good! I will have marked it to make it for friends. I think your buffalo chicken dip trumps mine! Can’t wait to try this cheesy treat!!! I bet it didn’t last long, who could resist that dip. Back when I could eat this stuff, I had something similar at a xmas party and it was yummmmy.